I don’t know why I love a good library ladder – I just know that I do. Ever since I was a child, when I saw them in movies, they were always my favorite thing. From Beauty & the Beast to Hidden Figures, every time I see one, they just sing to my soul. 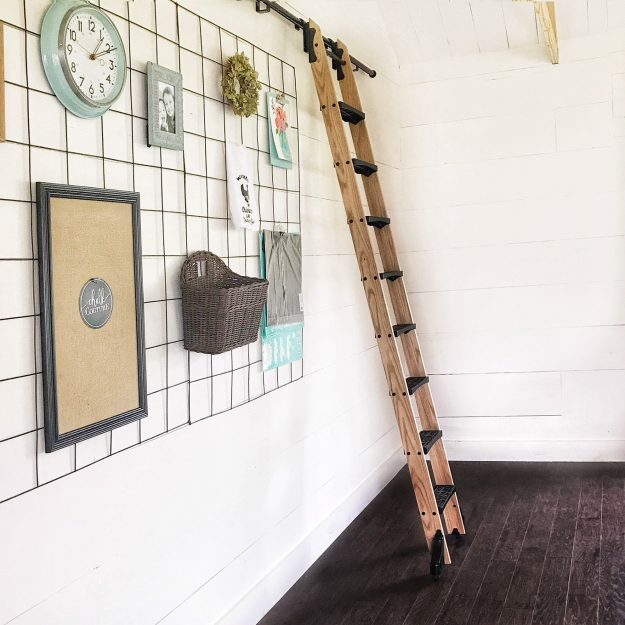 So when we built our studio, I was kinda crushing on the idea of installing a library ladder, but I wasn’t really sure what the point of it would be if I wasn’t using the wall for storage. 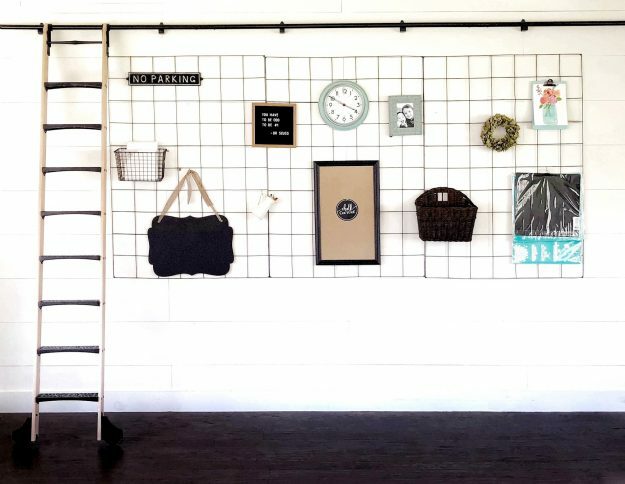 But a few weeks ago, we decided to move our metal grid boards (that tutorial is finally coming next week! 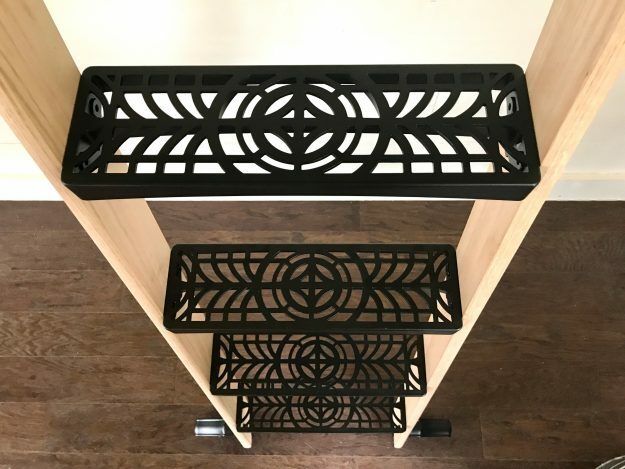 ), so to get them up high enough to maximize wall storage, then a library ladder was a great solution to get up there and use every inch possible. I wasn’t sure exactly how to build it…. then I came across these kits on Rockler Woodworking. and I was sold! I know that their project kits are super easy to follow and make things come together beautifully. So that’s the route that I took so we could build ours without figuring out angles and weird cuts. 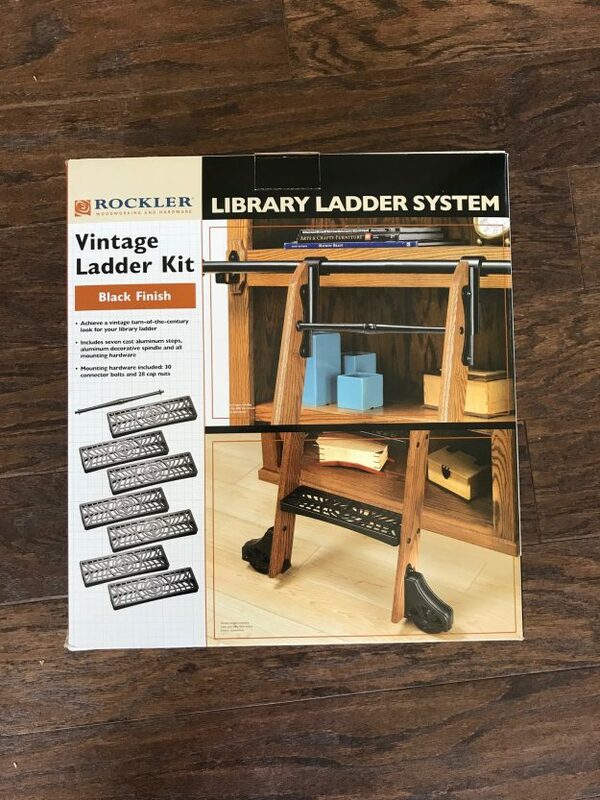 I started with this kit from Rockler Woodworking – which makes the whole project incredibly easy. While I could show you a TON of steps, instead I filmed a step-by-step video to show you how to build it all.